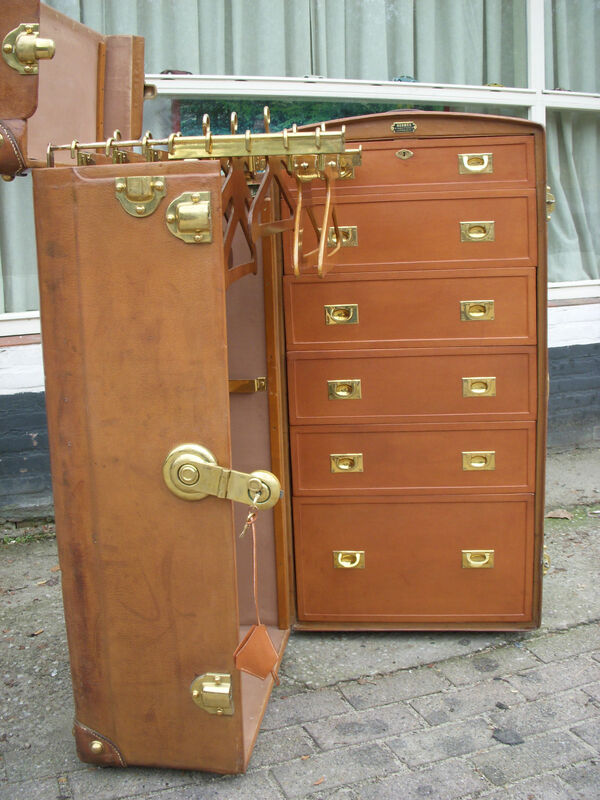 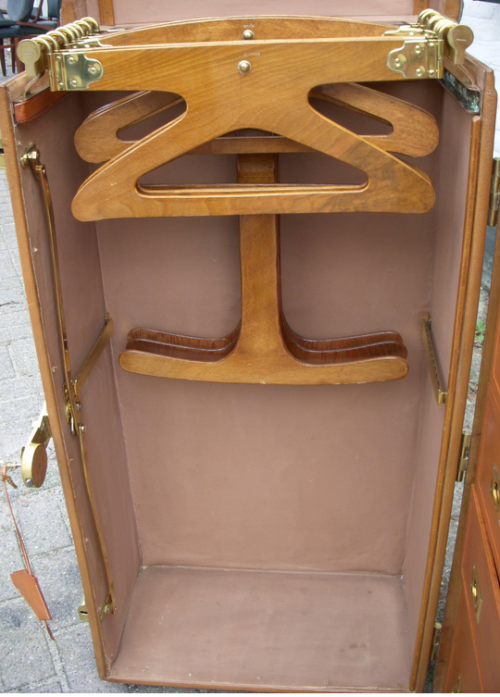 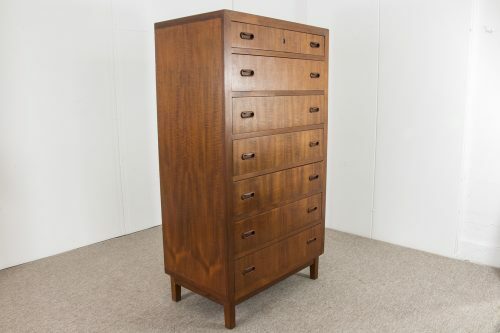 Home✦Still Available✦Antique 1922 Hermès leather wardrobe trunk S.B. 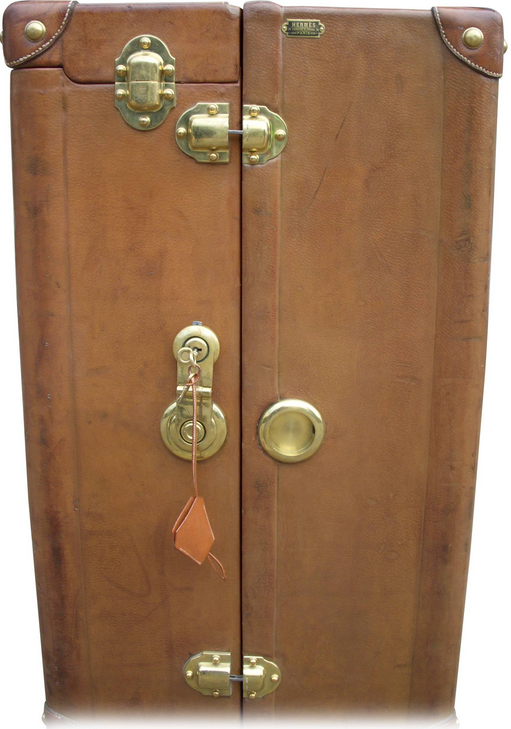 Unique, 1922 built Hermès leather wardrobe trunk owned by french actress, singer and theatre owner Simone Berriau. 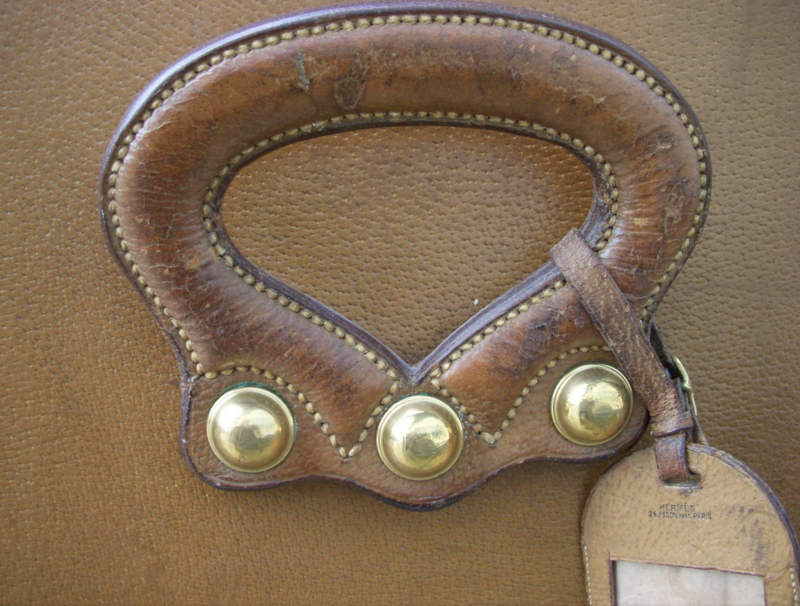 This model is one of three ever built by the Hermès brand, which was established in Paris in 1837 by Thierry Hermès. 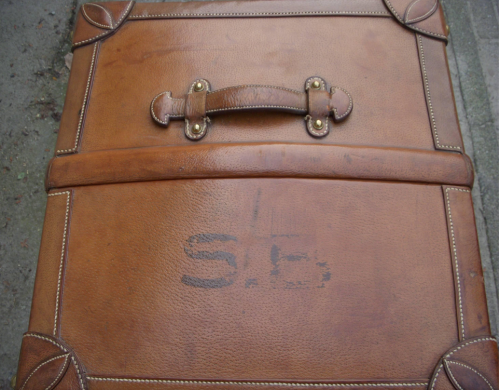 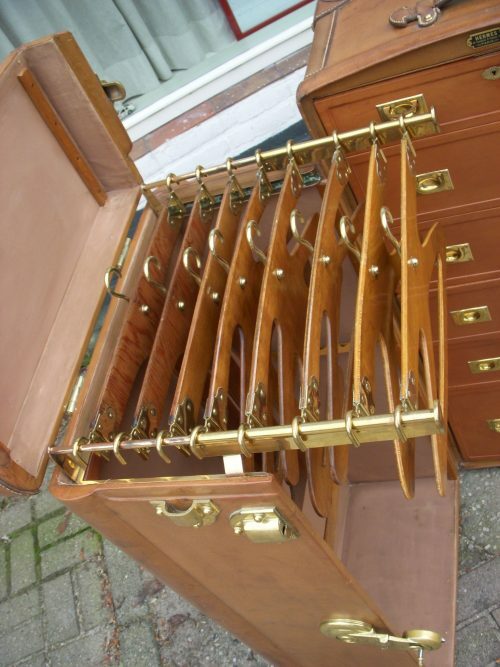 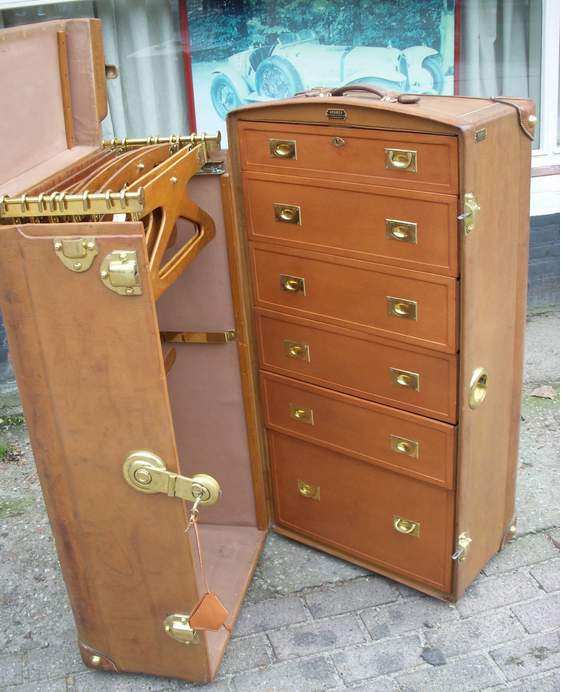 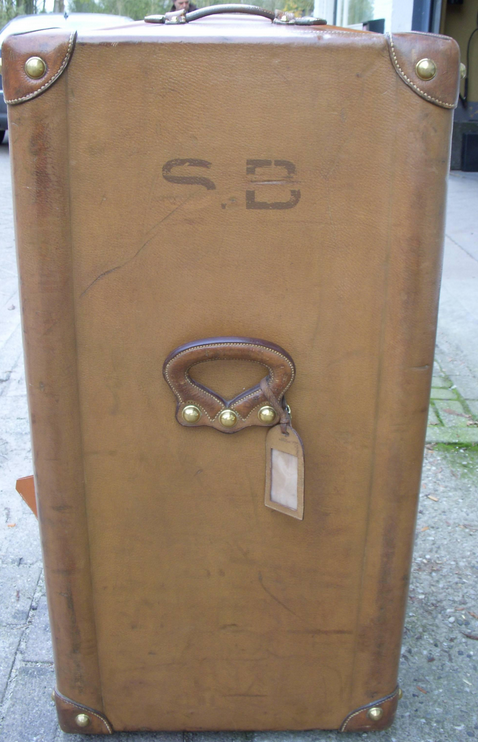 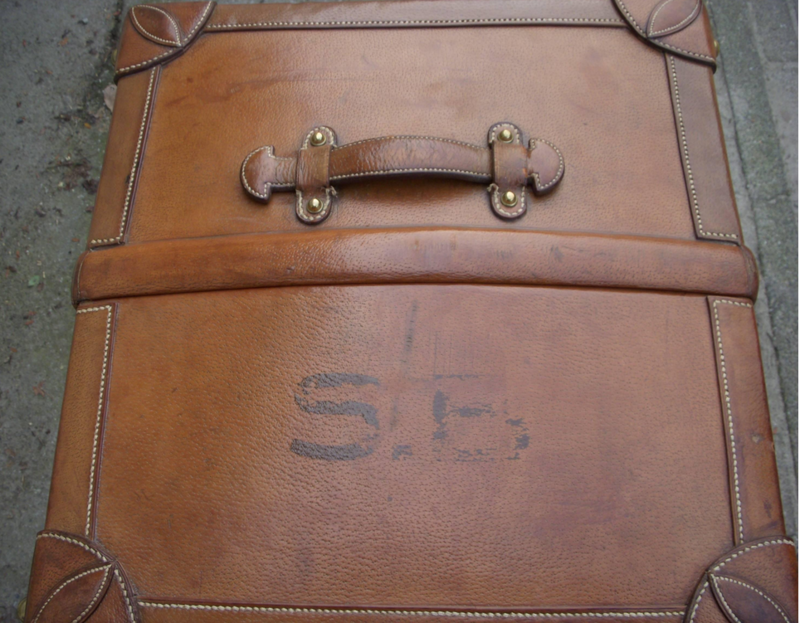 Only the best materials were used for this travel trunk, the thickest brass, the best of wood and the finest leather. 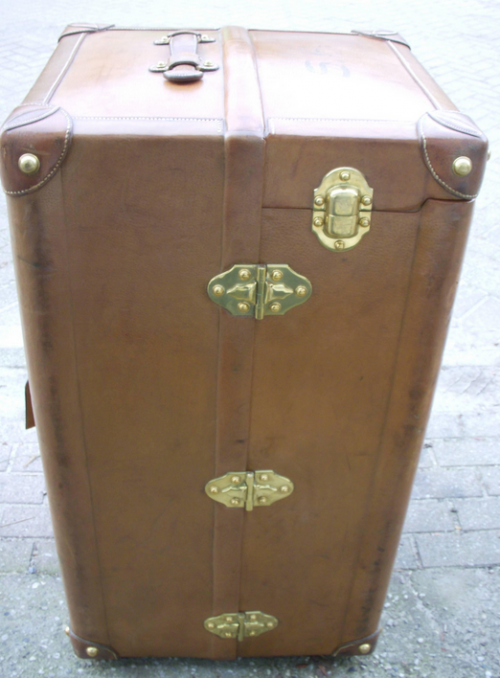 Dimensions of this trunk : height 110cm. 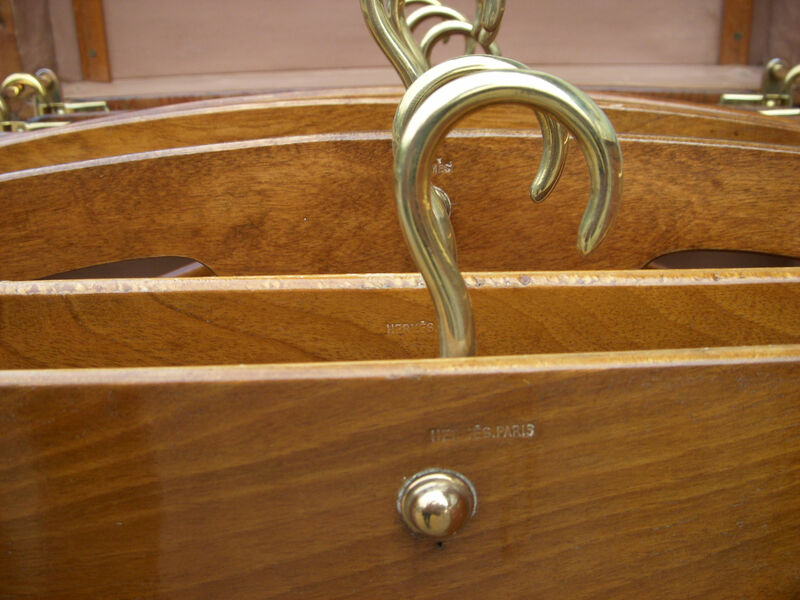 depth 57cm. 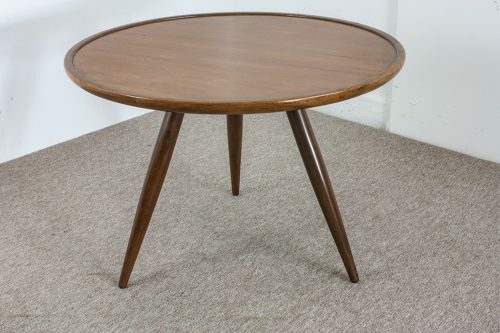 width 61cm. 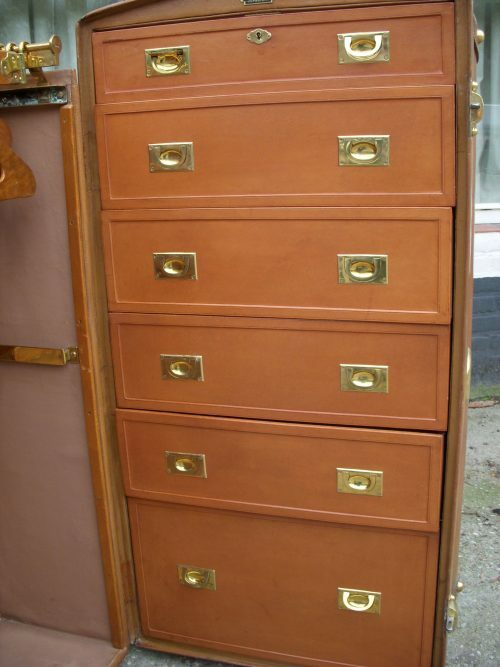 Higher price range, contact for more information. 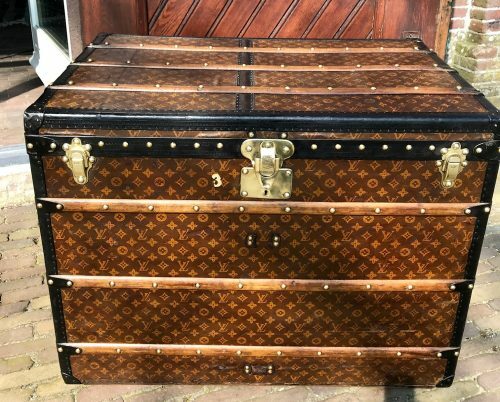 Unique investment opportunity. Regarding: Antique 1922 Hermès leather wardrobe trunk S.B.